It may be 93 million miles away, but the power of the sun is so strong you can feel it when you walk outside. The sun provides energy that is cheap, clean, and nearly everywhere human beings live and work. What’s more, the potential of solar power has excited some of the brightest minds in American history. Thomas Edison spoke those words to Henry Ford and Harvey Firestone way back in 1931. If those names sound familiar, it’s because those three men are often credited with creating modern America. Edison, of course, brought marvels such as electricity and incandescent lightbulbs to the masses. Ford leveraged the moving assembly line and used it to bring the automobile to America’s burgeoning middle class. And Firestone’s rubber technology helped keep early electric lightbulbs from bursting into flames and cars from careening wildly off the road. For their efforts, Edison, Ford, and Firestone made millions of dollars around the turn of the 20th century. Nearly 100 years later, however, the idea of widespread solar energy use that excited those inventors so much still seems like part of a far-off future, with the companies that focus on bringing solar “out of the shadows,” still toiling in virtual anonymity. Even so, the cost of electricity-producing solar panels is dropping and their efficiency is skyrocketing, making it possible to generate real, usable power at a relatively low cost. This is great news for DIY enthusiasts. The companies making solar gadgets for mass consumption have, in general, started small. In the early 1980s Sanyo – an early leader in the development of amorphous solar cells – was among the first to offer a solar calculator (although we had to wait until 1984 for the Sanyo CX 2570 to hit the U.S. market). Another Japanese electronics firm, Casio, followed with its own solar calculators, and introduced solar watches as well. Today, both of those items have been replaced by smartphones that pack serious, multi-core computer processors with power needs well beyond a tiny strip of silicon solar cells. But that doesn’t mean you can’t harness the power of the sun to charge those phones. With little more than a tin of mints and a few supplies from a local electronics store, it's possible to build a solar-powered USB phone charger that fits in your pocket, allowing on-the-go phone charging. A tiny DIY solar device can charge a phone during a quiet picnic at the park or in a crowded airport terminal with no free power outlet. You can find detailed plans to build a portable pocket phone charger on sites like Make and Instructables, with material costs ranging between $20 and $30 for a“minty charger,” and just $90 for a more substantial unit, which packs a bigger battery that can keep USB devices running strong for days. These small, solar-powered USB chargers may seem like a great accessory to have on hand – and it’s tempting to think about taking one on an outdoor adventure. Unfortunately, these handmade gadgets could quickly lead to a damaged phone or GPS unit since they offer no protection from the rain, mud, or bugs that you often encounter when venturing off the grid. Luckily, one intrepid DIY-er has already thought of an inexpensive and effective solution to protect electronics against the elements. This version houses the entire solar-powered USB charger inside a waterproof food storage container. It’s a straightforward, clever solution to the problem, and could help protect a device when packing it into a bag or backpack as well. According to its original developer, the waterproof option adds about $4 to the price of your homemade solar phone charger. Now that you’ve used solar power to conquer Facebook commenting (or juice up a navigation device) it’s time to head home – but heading home doesn’t mean leaving solar power behind. Roof-mounted solar panels help power a number of homes from coast to coast. And with the cost of solar quickly dropping, as well as a rapidly expanding pool of state and federal incentive programs aimed at making solar power more affordable, the number of home solar installations is bound to increase in the coming years. The panels are, for the most part, used to generate electricity, and can help cut down on energy costs by supplying “free” electricity to appliances that run all day. But while generating electricity is what most of us assume solar power is for, it isn’t limited to that one purpose. 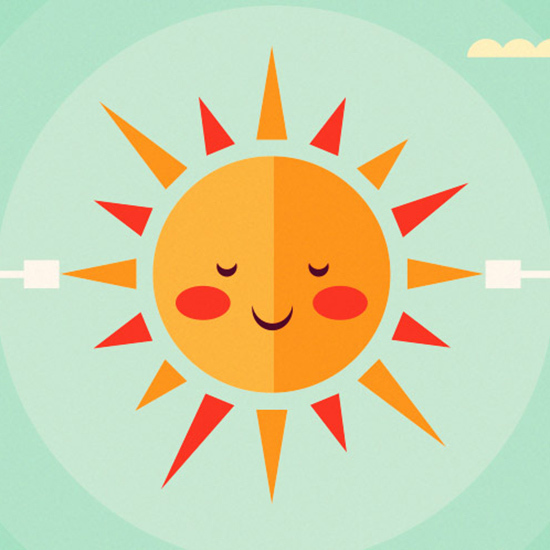 At its peak, sunlight can deliver more than 1000 watt-hours of energy per square meter and over 160 watts/meter averaged out over a 24-hour day.1 All that energy creates heat we can harness to help warm up a home. All you need, according to one solar DIY-er, is a wooden backing, a heavy-duty plastic covering (or tarp), 100 feet of drain hose, expanding foam, and some glue and fasteners to build a four-by-eight-foot air heater box. The solar air heater box works by taking in cool air, then routing it through the drain hose. As the air moves through the hose, the nearly 3,000 watts of solar energy (collected by the plywood heater box) warms it during peak daylight. According to its makers (who have published more detailed construction plans on Instructables), the heater box is about as efficient as two small space heaters when at its best. Unlike those two space heaters, the DIY solar air heater box won’t use a penny’s worth of electricity and is safe enough to leave running all day long – a practice that’s not advisable for a conventional electric space heater. On the opposite side of the spectrum, a solar-powered air cooler can keep a space cool. This DIY solar-powered air cooler uses a standard five-gallon shop bucket, a window screen, a computer fan, and a few other bits and pieces from an aquarium to create a constant flow of crisp, cool air. The solar air cooler operates on the principles of evaporative cooling, which is different from the way conventional air conditioners operate with compressors and condensers. Basically, the cooler adds water vapor to the air entering the bucket by forcing water held in the sponge-like material to absorb the energy in the warm air. As the water evaporates, the energy (and, therefore, heat) leaves the air colder than when it entered. Granted, a five-gallon bucket cooler like the one shown won’t replace a conventional air conditioner, but it will help keep a tent, cabin, or even studio apartment a few degrees cooler – and that’s really the essence of DIY solar projects. There are a ton of DIY solar projects and tutorials on the Internet, and really anything that uses electricity to operate has the potential to be powered by the sun. While some of the do-it-yourself types may stick to small-scale projects, others have conquered the unthinkable.